Sometimes in life things simply fall into place and that’s the case with trainer Lee Somervell’s decision to move to Hastings. 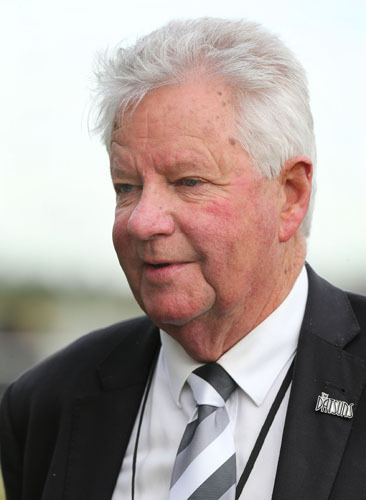 Somervell has enjoyed great success training from the late Ada Parnwell’s Cambridge Thoroughbred Lodge over the past 12 years, but a fateful combination of factors has prompted his move. “I’m in my seventies now and I think it was time for a change,” Somervell said. “I’ve met up with a lovely lady, Shirin Wood over the last 18 months. We have both experienced similar setbacks recently, a few years ago I lost my wife and she lost her husband to cancer and we’ve met up and we’ve been given a second chance and I’m enjoying life. “I’m very lucky to have met her and she’s from Hawke’s Bay, her late husband was a life member of the Hawke’s Bay Racing Club, so there’s a very strong connection there. Somervell takes up the lease of Carlton Lodge, a ten-acre property owned by former trainer Dianne Sergeant, on October 1. “When I made the decision to move I actually looked at some places in the Waikato but nothing suited my needs. I’m not a big stable so it wasn’t like I could lease a big stable block. “So, when I heard that Dianne was looking for someone to lease her property I jumped at the chance. “It’s a lovely setup that is very similar to my setup here and it’s just the way I like to train. I like my horses to be in the paddock during the day and come into the stables at night. “Dianne and her lovely daughter Tina have been involved in show jumping so they’ve had horses there, but Diane stopped training from there quite a few years ago and it hasn’t been a racing setup. The Hawke’s Bay has always appealed to Somervell and is the home of some of his most successful owners. “John and Collen Duncan who raced Fleur de Lune with Ada and who bred and co-own Stradivarius and Isabel, and Graham Roddick who bred and raced Addictive Habit are from the Hawke’s Bay, so I have some lovely connections there. “All of my owners have stayed very loyal and all twelve of my horses are coming with which is also very humbling. Somervell, who is originally from Matamata, will take all 12 of the horses currently in his care and two key staff members to Hawke’s Bay. One who first worked for him when he first started training in Leamington in 1984. “It’s the tapestry of life if you like,” he said. “Katie Donald, now Bussey, was apprenticed to me when I first started training in Leamington in the mid-eighties. “Katie was a very successful apprentice and rode many winners in those days. She and her husband Dale have subsequently been in Hong Kong and they’ve got a grown-up family now. “It’s come full circle and she’s my head girl now and she does a fantastic job. She and Dale will be coming down and heading up my team. When asked what he will miss the most about Cambridge, Somervell is quick to acknowledge the friendships he’s made at the Cambridge track. “I’ll miss the camaraderie with my fellow trainers,” he said. “There’s over 1000 horses trained at the Cambridge Jockey Club and some of the best trainers in Australasia train there. At age Somervell has no plans of slowing down and hasn’t considered retirement. “The bottom line is I love horses,” he said. “I love my horses and I love what I There’s nothing like the challenge of training winners, it keeps you young.